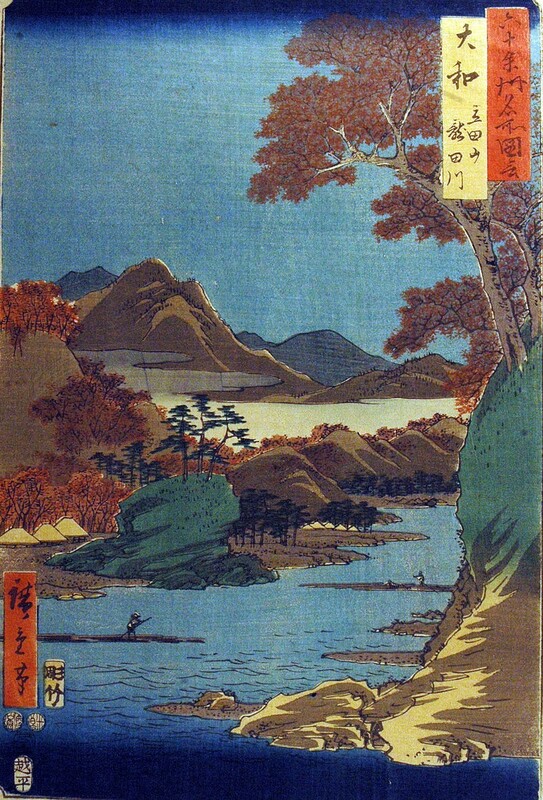 The undisputed last great master of ukiyo-e was Utagawa Hiroshige. He is best known for the many series he created of bucolic landscapes, which offered collectors a chance to see parts of Japan they might never reach. The Japan of his early 19th century work holds a special place in Japanese hearts–a final look at an isolated and beautiful country just before the opening up of the ports to the West and, with it, industrialization. 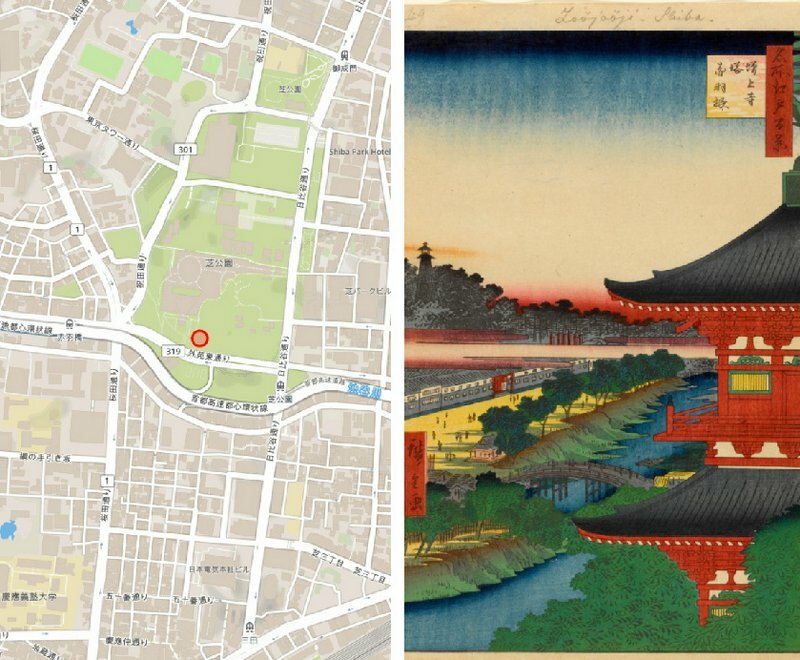 Apart from Mount Fuji, the locations that Hiroshige drew have long gone, but “Computer science undergrad, martial artist, ukiyo-e lover” and British resident George–he goes by the Twitter handle @Cascadesssss–has plotted the location of Hiroshige’s prints on an interactive Google map that has gone quickly viral. “The Fifty-Three Stations of the Tokaido” was Hiroshige’s most popular series and unlike the other two depicted horizontal landscapes. The artist sketched these in 1832 as he rode in a procession from Edo (now Tokyo) to Kyoto and set to work on the prints once he returned home. The 55 prints (two extra drawings of the starting and ending points of the journey) sold like crazy, as they cost about the same as a bowl of soup for the common person. 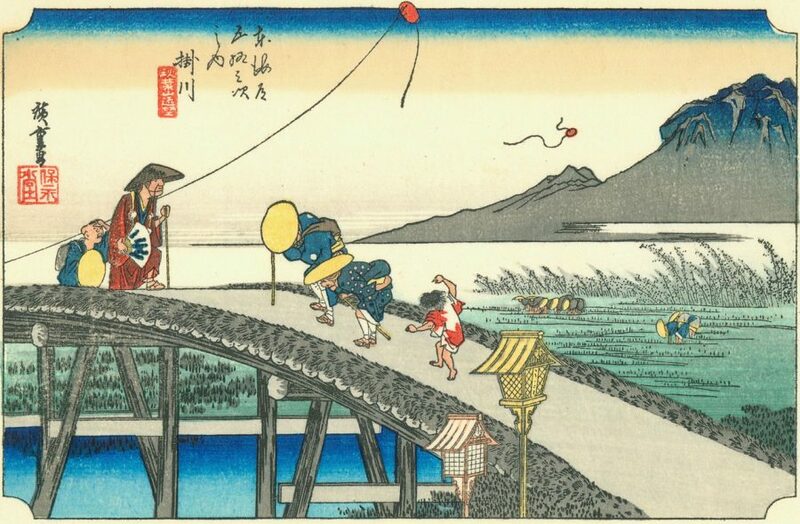 “Famous Views of the Sixty-odd Provinces” is different in that Hiroshige did not make trips to see all these beloved locations–instead he put his own spin on existing drawings found in guide books and other sources. The total series of 70 prints took four years to complete, from 1853 to 1856. By the time the “Provinces” series was winding down, Hiroshige started work on his final series “One Hundred Famous Views of Edo,” which he worked on until his death. 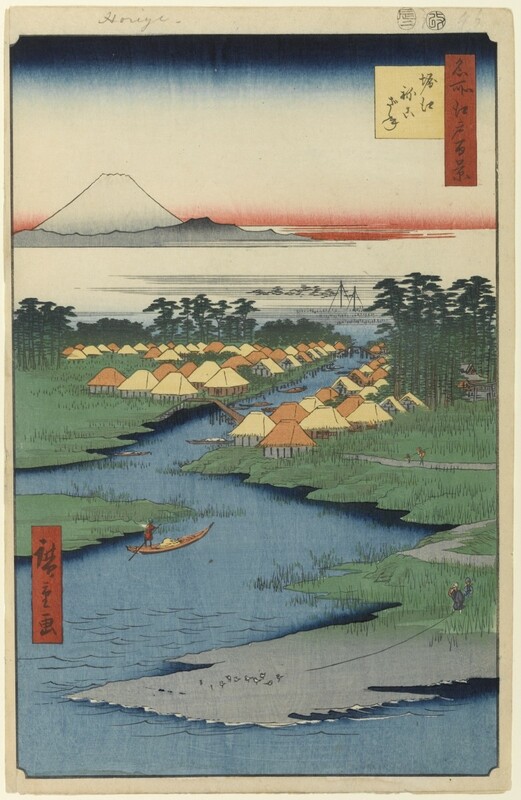 Again, though living in Edo, Hiroshige drew from the works of others from decades before. This is also the artist at his most adventurous–some landscapes are obscured by posts and bridge railings or even a carp streamer. One features what is rumored to be Hiroshige’s favorite geisha. These prints would go on to influence Western artists, especially Vincent van Gogh. Hiroshige produced more series over his life–he died aged 61–and here’s hoping Cascadesssss plots more on his map soon. 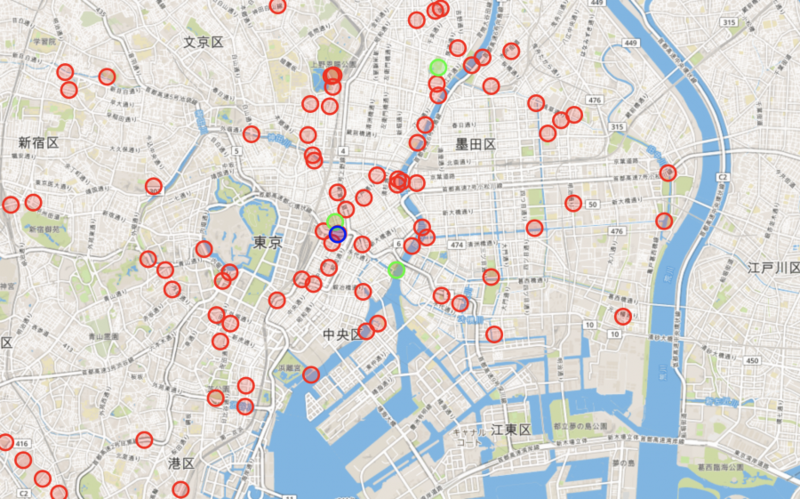 The Real Locations of Ukiyo-e, Historic Japanese Woodblock Prints, Plotted on a Google Map is a post from: Open Culture. Follow us on Facebook, Twitter, and Google Plus, or get our Daily Email. And don’t miss our big collections of Free Online Courses, Free Online Movies, Free eBooks, Free Audio Books, Free Foreign Language Lessons, and MOOCs.